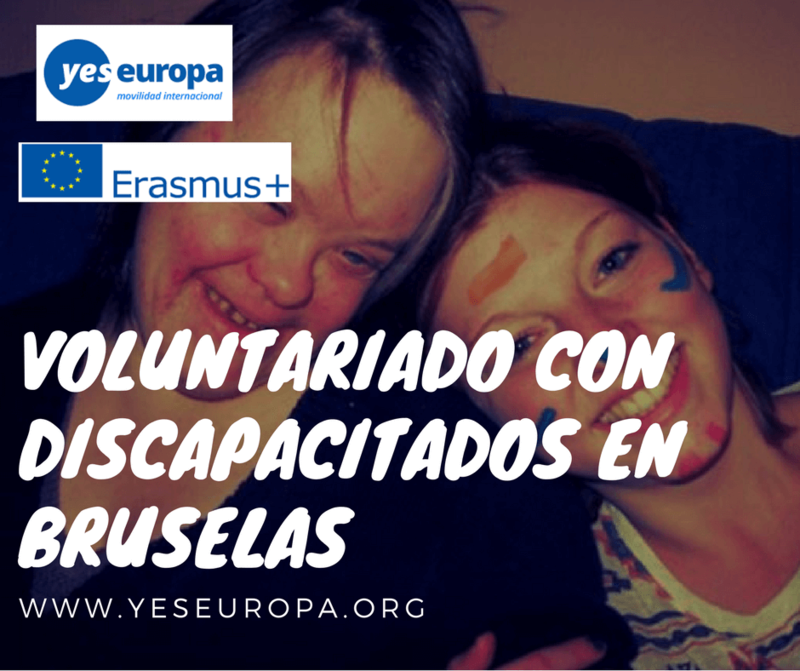 Asociación de Bruselas busca voluntarios con discapacitados en Bruselas , es una asociación con proyectos para personas con discapacidad intelectual. 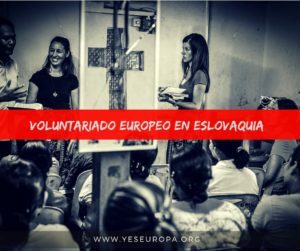 Este voluntariado no es Servicio Voluntario Europeo ni Erasmus+ pero cuenta con las mismas condiciones, aseguradas por la organización de acogida (dinero bolsillo, alojamiento, manutención, transporte, etc…). 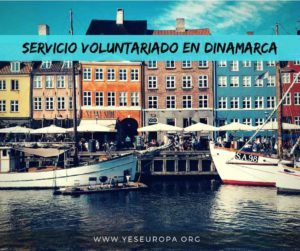 Traemos a voluntarios de todo el mundo para que junto con las personas con discapacidad, convivan y aprendan unos de otros. La comunidad de Bruselas ofrece la posibilidad de vivir una nueva experiencia, de convivir junto a otros voluntarios de todo el mundo, profesionales y personas con discapacidad. 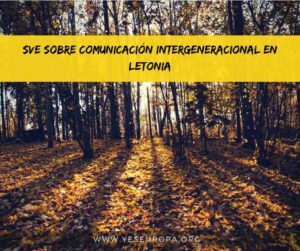 Además, en nuestra asociación valoramos el intercambio cultural, social y generacional. Y sobre todo, aprendemos unos de otros. – Deseo de disfrutar de un año sabático y ganas de hacer cosas nuevas. – El proyecto consiste en convivir con personas con discapacidad y otros voluntarios, y juntos realizar las tareas diarias y domésticas, además de organizar el tiempo libre. – Organización ofrece alojamiento, alimentación, gastos de transporte y de seguro para los voluntarios. – El tiempo de estancia es, idealmente, entre 10 y 12 meses. Hay ocho días libres al mes y dos de vacaciones por cada mes trabajado. 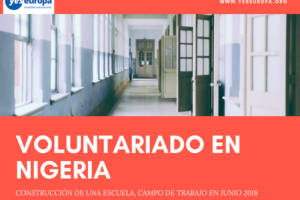 – Organización también ofrece cursos de idiomas para los voluntarios. 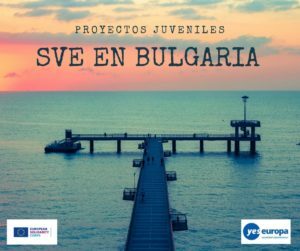 Si estás interesado en pasar una época en Bruselas en nuestro proyecto de voluntariado, no dudes en solicitarlo. The long term project : Starts : mids of August/beginning of September due to registration in official schools. Average time between 9-12 months because then the volunteer can participate in the 2 seminaries organized by us. In the community, we offer an experience which consists of different activities, yet the whole experience has a lot more to offer than simply these activities. It is impossible to draw a firm line between the two aspects of life: activities and community life are equally important and sometimes overlapping as well. By Belgian legal standards, a volunteer can’t “work” but can be trusted with “activities”. The time the volunteer spends with these “activities” can’t exceed the number of working hours of a full time worker. o Assistance to the people with handicap in their daily routine and activities, should it be in their homes, in Grain (the activity center) or somewhere else on an individual basis. Also, preparation to the time spent together or team meetings can be considered as assistance activities for the people. These principles apply to all of us. In practice, activities and venues (Grain, Branche, Cana, Ruche, Toit,…) can differ to meet the needs of the people of organisation – the core members and the assistants as well. To put these principles in practice, a life in harmony is always of great importance for us. By that, we mean the life of the volunteers and professional assistants as well.  Nous ne décomptons pas de l’horaire initialement établi pour l’accompagnement (incontournable) des PA dans leurs activités, les heures de participation avec elles à des activités communautaires conviviales telles que les diverses célébrations communautaires p.ex.  As long as possible, we try to provide a free evening before the weekly day off of the volunteers and also a free morning afterwards.  At our homes the weekend starts Friday evening or Saturday morning, depending on how the given house organizes it.  Establishing two kind of schedules allows everyone to participate in all kinds of activities (when applying one schedule for 2 weeks, and the other for the next 2, starting over each month).  At the same time, keeping the professionals’ schedules allows everyone to have a chance to work together every now and then.  The “ spirit” is the opposite of self-centered! On the contrary, it is all about growing by giving: we mutually learn and receive from each other. Organisation is a non-profit organization, originally based on Christian values and established in 1973, by Jean Vanier, philosophy teacher and a Jesuit in Belgium. They wanted to offer people with learning disabilities, generally being in psychiatric hospitals, a place where the human dignity is respected. Organisation is an international federation of people with and without disabilities, who live and work together in the daily center and in the houses. The mission of us is to provide disabled people with quality integration and develop their human skills. The originality of these small houses is based on a family-like atmosphere, where disabled people, professionals and volunteers from all origins, social, cultural and philosophical backgrounds, ages and beliefs encounter one another. In addition of this house’s life, some of the disabled people are going to the day center, where activities like craft-work, occupational therapies or services to the larger society, are offered. The residents are between 18 and 70 years old and have various forms of learning disabilities (but generally they have Down syndrome) occasionally linked to a physical handicap. They are accompanied by teams of professionals and supported by volunteers. The aim is to ensure an adequate approach and relationship by each volunteer with the people having learning disabilities. The activities, in the houses, are ordinary and “extra-ordinary”: daily responsibilities (maintenance, attendance, cooking etc. ), supporting people having learning disabilities (accompaniments, transports, support in different learning and working projects), inside and outside the different houses, numbers of meetings, leisure activities, celebrations, holidays, etc. Brussels has also a day center where activities are proposed. Disabled people, volunteers and the staff participate in handicraft and expression activities, art, like sewing, computer science, body expression, music therapy, gardening, circus or swimming. These activities are the best way to improve exchange and mobility with disabled people, volunteers and professional people. 1. The professionals employed by us are also “assistants”, even though their employment status is different. 2. The professionals, similarly to the volunteers have a role of authority towards the persons with handicap. ii. Responsible for administrative tasks, medical treatment of the persons with handicap, keeping in touch with the families/ legal representatives of the persons. iii. Referent, guide and educator of the volunteer, who also supports him/her in building a relationship with the persons with disability. i. Accompany the persons with handicap during their everyday activities and participation in their community life in the activity center in support of the professionals. vi. Making sure, in cooperation with the professional team, that the daytime activity center works well. vii. Making sure the team of volunteers work well together, participating at the team meetings and meeting of the educational team. Generally the volunteers do not participate at the meetings of the professionals in the activity center, which are already rather crowded. professionals and the other volunteers, both ways. a. Two different spaces with different functions and roles for professionals and for volunteers. b. At the same time, these are two realities that complement each other, which reveals the necessity of searching for further overleaps between the volunteers working in the homes and those working in the daytime center. c. It is important to treat these roles as different and complementary without comparing or opposing them. The houses of Brussels and the day center are located in Etterbeek, close to the historical center of Brussels, not so far away from the European institution, in an urban environment. It is also situated next to a student and hangout place. There are lots of facilities: common transport, shops and sport facilities. 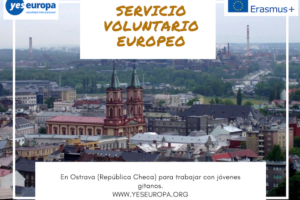 Far from being closed in a structure that has no connection with the outside world, the volunteer may find in Brussels opportunities to be part of a local community including an environment where they can also involve themselves and widen their network. Each volunteer when he/she has to face difficulties sometimes will find above all an experienced team of professionals, available and ready to listen to him/her. It has a long tradition of welcoming volunteers of all countries, of different social and cultural backgrounds interested in participating and collaborating in its project of integration for people with different learning disabilities. The mission of us is to welcome adults with disabilities. This implies that the volunteer – along with others in this community life- tries to meet the basic needs of the people welcomed with disabilities, to create a home life where each one feels at home, to stimulate himself during his work, to enjoy the opportunity to learn and share life with people who are open to meet their way of being different. You will realize that people with disabilities are not only patients and that volunteers are not only&quot; caretakers&quot;. In what is vital is to aim for a reciprocal relationship. NB Reciprocity does not mean a denial of the differences between us! – it is just the opposite! One of our “values” ​​is of course teamwork because the community includes several groups of people: volunteers, trained care workers and other professionals. Each group brings something unique and different to this community life, either in the Activity Center, or in the houses. It is therefore a school of life, where we learn how to grow together. For each person, professionally qualified or not, the major competences always include listening skills. At organisation, one of the fundamental values is the teamwork among volunteers, professional educators and friends. The variety of coworkers’ status enriches the community, should it be in the homes or the activity center. Listening and reassessment both are essential for everyone, professional or not. 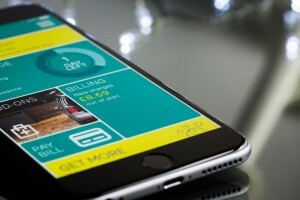  2-3 hours a day for specific tasks, for example : grocery shopping, taking the hosted people to the doctor, etc. The tasks are distributed conform to the capacities of the volunteers.  2-5 evening a week, starting from the afternoon snack (comment traduire GOUTER? ), helping the people with their baths/showers, cooking dinner, helping them to prepare for the night.  Participation in the activities of the homes, communal celebrations, the activities of the daily center.  Accompany the people with disabilities to additional programs or occupations, conform to your skills (work, medical appointment, free time activities, etc).  Taking care of general tasks to ensure the smooth functioning of the homes: welcoming the people, cooking, grocery shopping, baths and general hygiene of the people, getting there and coming back for the activity center, celebrations, keeping the rooms tidy.  Accompany the people during their activities in the daily center.  Supporting disabled people in different activities (work, recreation, health, hygiene…) inside and outside the day care center.  Cooperating in the daily functioning between the houses and the day care center by accompanying the people with disabilities from their houses to their workplace, having fun and celebrating together, for example. 8:30: Transport or walking to the Day Care Center and sometimes, preparing lunch for outside activities. You are free during the weekend, in general. Other mandatory activities not yet mentioned will take place during the day schedule. A weekly meeting with the head of the day care center, and if needed, with the responsible of the volunteers (kind of Human Resources person). Meeting with the team for volunteers in order to prepare the workshops under the guidance of a professional, the meeting with all the members of the day center (people with disabilities, volunteers, professionals), participating in language courses…. The volunteer can also work in the disabled people’s houses. It’s a different rhythm from the work in the day center. The volunteer is working mostly on the daily times, in the morning, and when the residents come back to their home. You are free during the afternoon. 7:00-8:30: Get up, breakfast together. The volunteer will accompany the disabled people in the morning, before leaving towards the day centre. He will awaken the people, prepare breakfast and accompany them to the day centre. 15:30: The residents come back to their home; you organize the tea time, while the staffs take care of the people hygiene. 18:00: Every day, one volunteer and one disabled prepare the dinner together. 20:30-22: After dinner, we spend the evening together until bedtime. For each volunteer the activities, for which your presence is required, include: the house meeting, the team meeting (including weekly planning), the organisation of the weekends, and participation in other community events. Each volunteer works 37 hours in a house and every second weekend. Every volunteer can either choose to live in the houses or to work in the day care center. It’s obvious that lives in a house or in a workshop are different, but even if there is another emphasis on the tasks and on the times of presence, the amount of hours, days of recuperation and holidays are the same. Generally, different combinations between houses and day center are possible. The volunteer, first needs to put himself in motion towards the meeting of differences, with a “spirit” of adventure and of solidarity. He should be ready to “dedicate” himself to the less privileged people in our society and he also ought to be willing to leave for a minimum period of 6 months. Moreover, it is appropriate that he acts, within the family-like project of Brussels, for and with people having learning disabilities together with professionals, which also implies a capacity of taking responsibilities and initiatives. At the same time this also requires the desire to cooperate within a multicultural and multidisciplinary team. Working with people having disabilities can be very demanding sometimes so that a certain self-balance and rest time are necessary. The place given to the volunteer is not to take a vacant job to be supplemented within a team. Each volunteer takes part in shared life by his presence and by concrete, specific tasks, as mentioned above. Not only the volunteer, but each person should stimulate exchanges between all parts concerned by this project. To speak at least basic French is helpful but not required. In order to facilitate communication, the volunteer will attend French lessons. Under no circumstances shall the weekly number of the volunteers’ working hours exceed the working hours of an employee. Each volunteer has to be provided 6 hours of French class a week, deducted from his/her working hours. Occasionally it might happen that the language course and the working hours are not compatible. In these cases, the volunteer and the home leader try to find a solution together. hosting organizations, staying in this house. This house can welcome until nine persons maximum. Each morning, you will go to the day care center, which is 15’ away from your house if you walk. The volunteers in the houses have their own private room in the same house where they are working. Every month, a general allowance and a food allowance are given to the volunteer who is working in the day center. But every working day, the volunteer eats a warm meal together with disabled people. For the volunteers working in houses they only have a general allowance because the meal is provided every day. 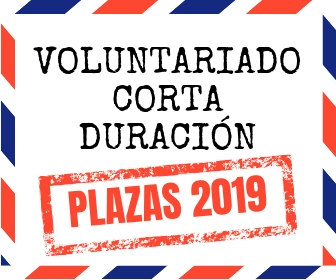 Cual es la edad limite para este voluntariado?